“In 2009, Hobby Lobby began acquiring a variety of historical Bibles and other artifacts. Developing a collection of historically and religiously important books and artifacts about the Bible is consistent with the company’s mission and passion for the Bible,” Hobby Lobby said in a statement. The artifacts, shipped in small batches to different addresses, were labeled by the dealers as “ceramics” and “samples” to evade customs detection, according to the Department of Justice. Investigators eventually intercepted five such shipments with false invoices and receipts, US authorities said. 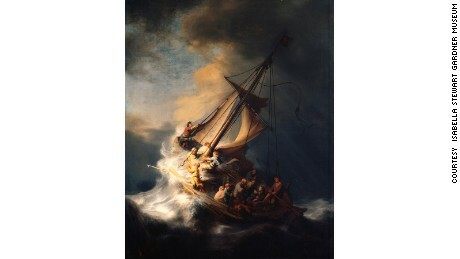 “The Storm on the Sea of Galilee” (1633) by Rembrandt – Rembrandt’s “The Storm on the Sea of Galilee” was one of 13 artworks stolen from Boston’s Isabella Stewart Gardner Museum in 1990, which still haven’t been found. Check out the gallery for other valuable stolen artworks that authorities have yet to track down. 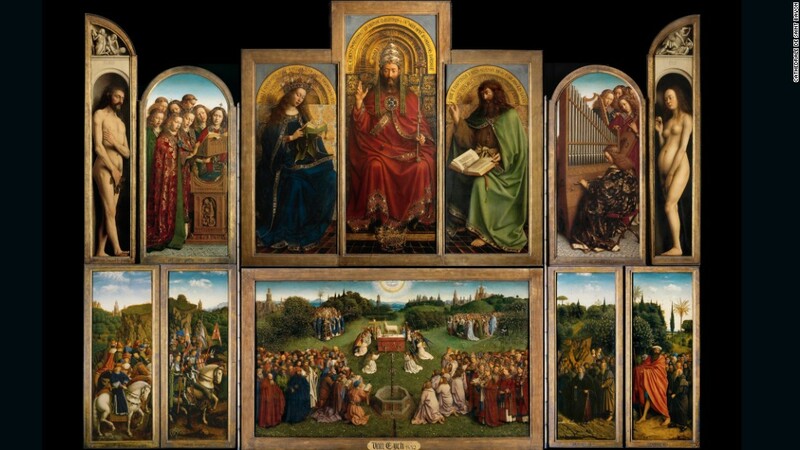 The Ghent Altarpiece (1432) by Jan van Eyck – The Ghent Altarpiece is the most frequently stolen artwork in history, having been stolen (all or in part) six times over a period of more than 600 years. Of the twelve panels that comprise the enormous altarpiece, one is still missing. Referred to as the “Righteous Judges” panel, it was stolen from the cathedral of St. Bavo in Ghent, Belgium in 1934. The theft was designed by Arsene Goedetier, a middle-aged stockbroker active in the cathedral community. He was not the actual thief, but designed the theft based on the plot of one of his favorite books, “The Hollow Needle” by Maurice LeBlanc. After many false leads and a protracted, failed attempt to ransom the panel back to the bishopric, it remains missing. 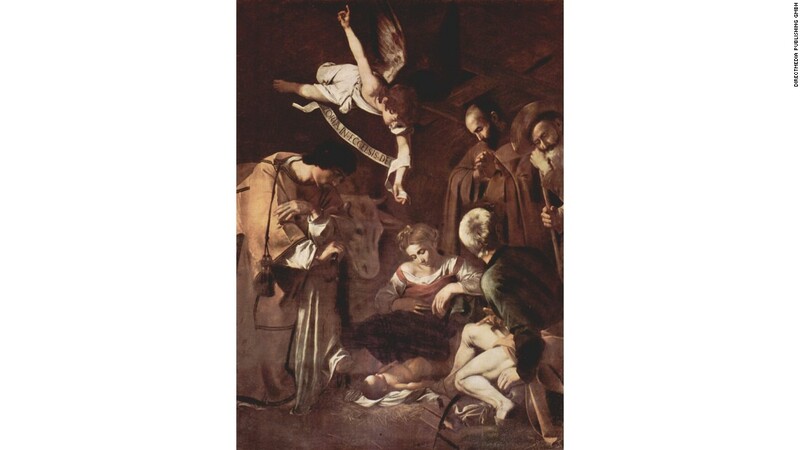 “Nativity with St. Francis and St. Lawrence” (1609) by Caravaggio – Caravaggio’s “Nativity with St. Francis and St. Lawrence” was stolen in 1969 from a church in Palermo by members of Cosa Nostra. It has never been recovered. Its theft prompted the foundation of the world’s first dedicated art recovery police unit, called Tutela Patrimonio Culturale, or the Division for the Protection of Cultural Heritage. A mafia informant claimed that the Caravaggio was damaged in an earthquake and fed to pigs, but one hopes this is not the case. 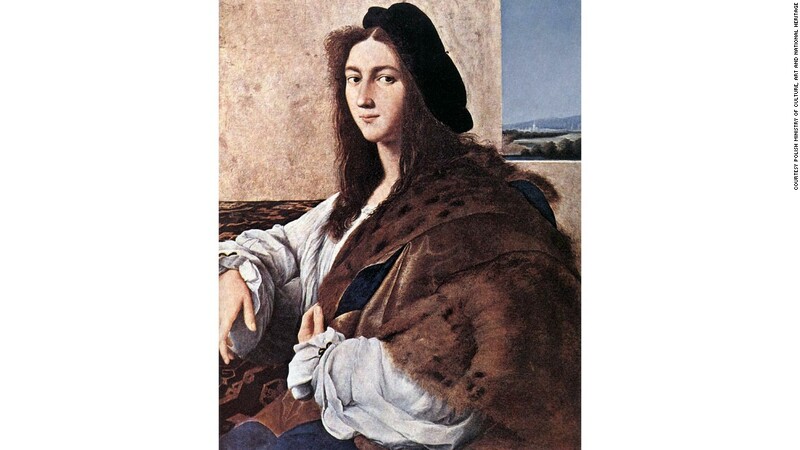 “Portrait of a Young Man” (1514) by Raphael – “Portrait of a Young Man” is one of an estimated 5 million cultural heritage objects thought to have changed hands illegally during the Second World War. The masterpiece was taken from the Czartoryski Museum in Krakow in 1939, and destined for Hitler’s home in Berlin. There it hung until 1945, when a Nazi official, Hans Frank, moved all of the paintings from Hitler’s home to Wawel Castle in Krakow. It has not been seen since. 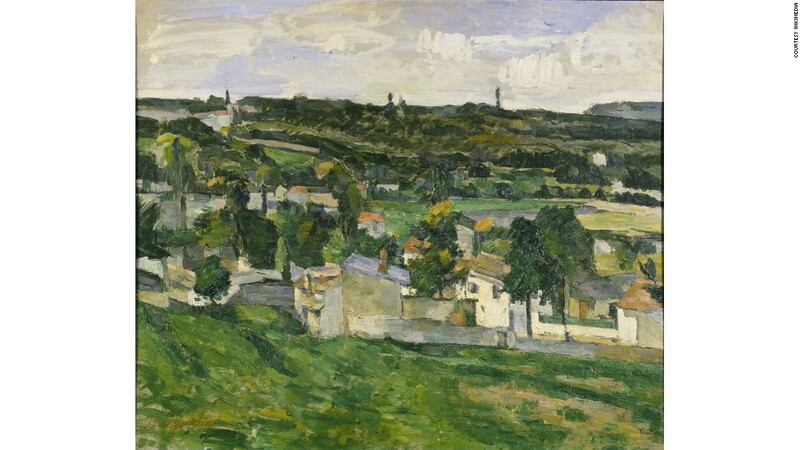 “Auvers-sur-Oise” (1879-1882) by Paul Cezanne – Oxford University’s Ashmolean Museum was burgled of its only Cezanne painting on Dec. 31, 1999. The sound of the break-in was masked because it was timed during a New Year’s Eve fireworks display. 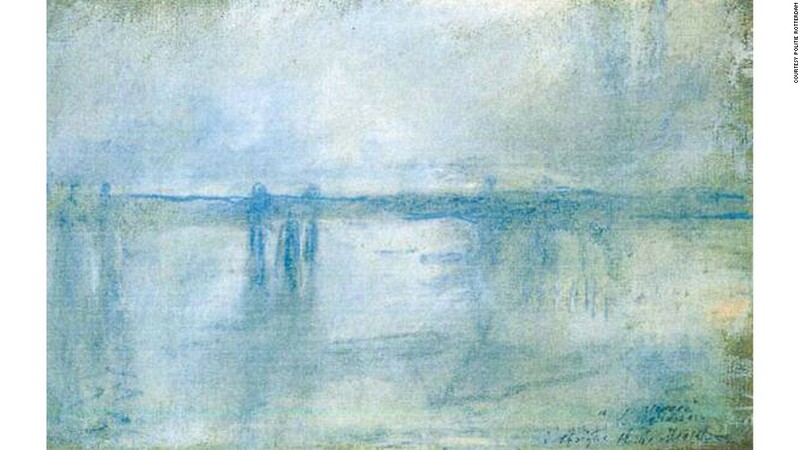 “Charing Cross Bridge, London” (1901) by Claude Monet – Among many works stolen from the Rotterdam Kunsthal in October 2012, one can find Monet’s “Waterloo Bridge, London” and “Charing Cross Bridge, London.” The mother of one of the thieves claimed to have burned the stolen paintings in an attempt to hide the evidence, but hope remains that this is not the case. 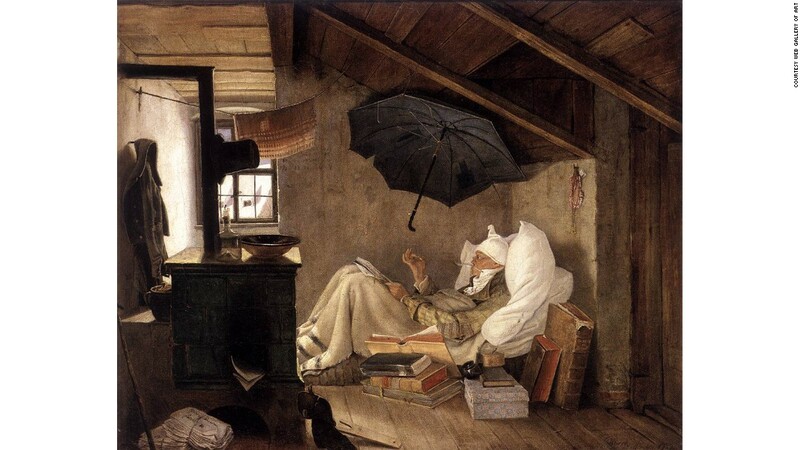 “The Poor Poet” (1839) by Carl Spitzweg – Hitler’s favorite painting was “The Poor Poet” by Carl Spitzweg, a somewhat kitschy romantic painting that has one of art theft’s most bizarre and serpentine stories. It was famously stolen in 1976 by the performance artist Ulay, who took it from the National Gallery in Berlin and hung it on the wall in the home of a poor, immigrant Turkish family as part of what he called a “political action.” He immediately phoned the museum and turned himself in, explaining that he did this as a form of political protest. The painting was returned, but it was stolen again in 1989 (not by Ulay), and it has never been recovered. 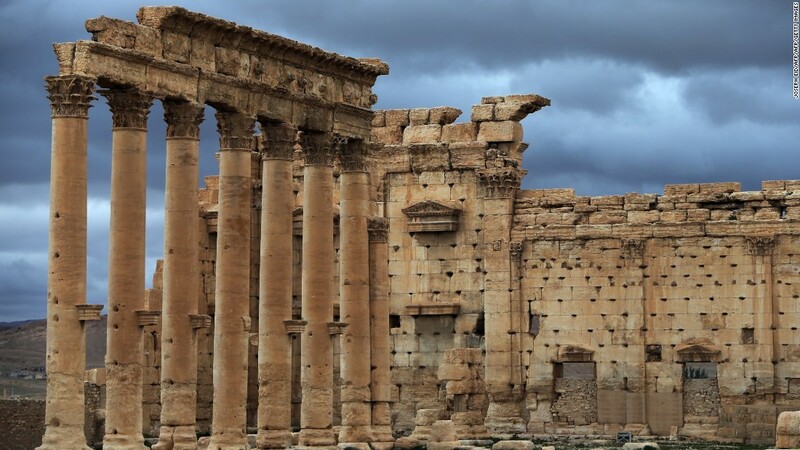 Stolen antiquities of the Middle East – Thousands of illegally excavated archaeological objects have emerged from conflict zones in the Middle East over the last few years, with ISIS most overtly financing their activities through illicit trade in antiquities. While it is difficult to trace the sales of individual objects excavated in ISIS-occupied territories, it is thought that millions have been made through this dark art trade. 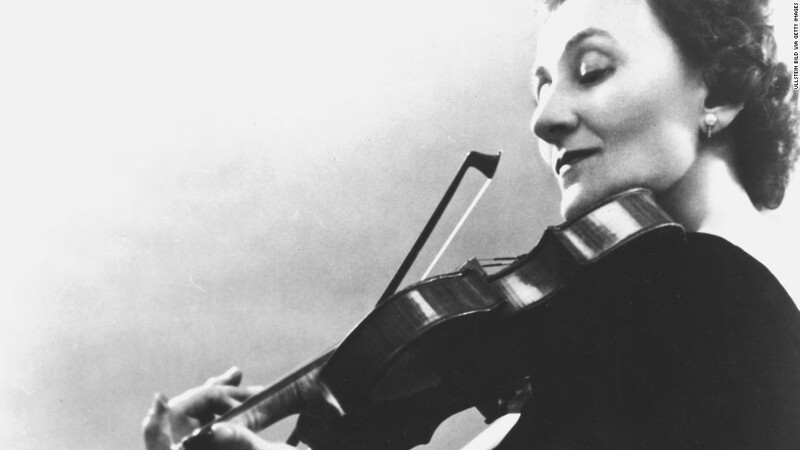 1727 Stradviari violin – A 1727 violin by famed luthier Antonio Stradviari was stolen in October 1995 from 91-year-old violinist Erica Morini’s New York apartment. Stradivarius instruments have a habit of being stolen, and are each worth in the low millions, this one valued at $3 million. From invoices and records of the purchases, Israeli authorities understood the scale of the deal, explained Klein, which expanded the investigation to include Israeli police and the tax authority. 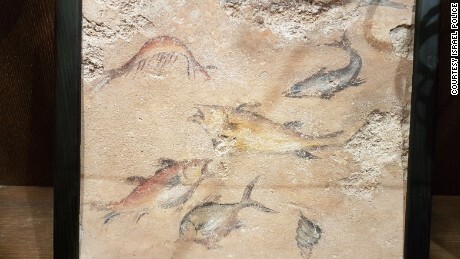 A luxurious wall mural depicting fish seized in the raids. In the ensuing raid, police seized a trove of bronze, silver, and gold coins, as well as ancient Hebrew, Greek, Aramaic and Latin parchment, sculptures, pottery, and figurines. Police also seized luxury cars and the equivalent of $225,000 in local and foreign currency. Some of the artifacts may have been stolen, Israel Police spokeswoman Luba Samri said. However, most of the antiquities seized were legally held, Klein said. Their value will be used to repay money the dealers owe to the state, as determined in court. “If they can’t pay the money that they owe the state, they will take the value of the items and it will be used as a repayment for the money they have to give back,” Klein said. The five antiquities dealers were brought before a Jerusalem Magistrate’s Court on Sunday where a judge extended their custody. Related Post "Ancient Artifacts Seized In Hobby Lobby Case"